I just love this wreath Melinda of Home. Made. Interest. made when she found a much more expensive version in a catalog. It is gorgeous, dramatic, and a fraction of the cost of the original. Stop over to her blog to see how she put together. 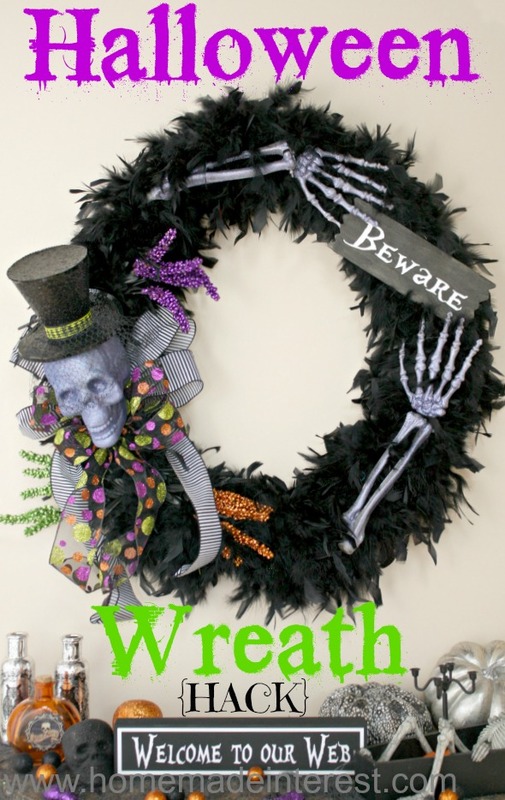 One part of the wreath will really surprise you. Thank you Melinda for linking up to Dare to Share! Thanks for featuring our wreath! Melinda did such an awesome job making it....I may have to steal it for my mantle next year ;) That's what friends are for, right?